Mercy-USA is proud to be among the most effective and efficient not-for-profit agencies worldwide. We back up that bold statement with our facts and figures, all of which are made transparent and available for your viewing at all times. 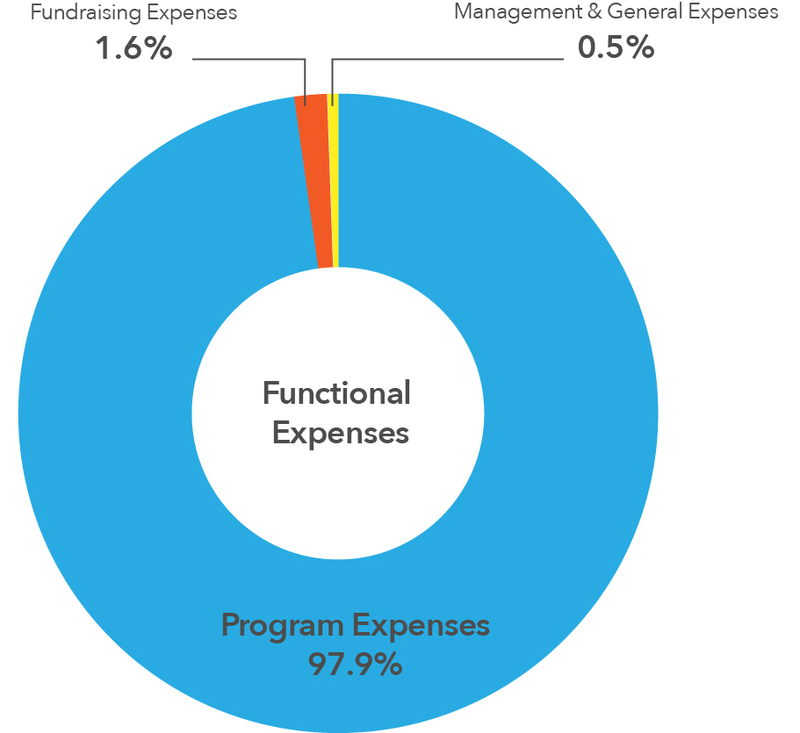 Less than 3% of finances are dedicated to fundraising and administrative use. That means that the overwhelming majority of donations from generous individuals and institutions go directly to helping actual causes, on a global scale. With more than 97% of finances directly and positively impacting those in need, there is no better way to value each dollar. For instant and immediate emergency relief, along with long-term sustainability efforts, Mercy-USA effectively and efficiently provides help and care, worldwide.